ARP – The world leader in fastener technology has just released a new Pro Series ARP2000 main stud kit for 2008 and later Mitsubishi 2.0L (4B11) Turbo and Non Turbo applications, including the Evolution X. Part No. 207-5403 – includes a set of ten, M10 ARP2000 main studs, a set of ten, M8 ARP2000 main studs, twenty 8740 chrome moly steel 12 pt nuts and a 1/2 oz. pack of ARP Ultra-Torque fastener assembly lubricant. 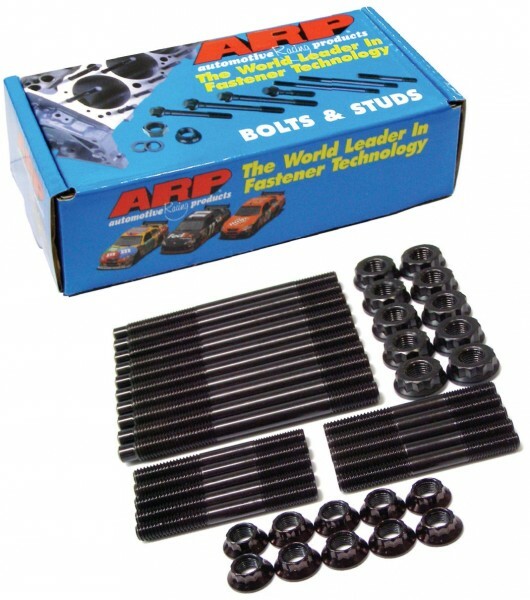 ARP – The world leader in fastener technology has just released a new Pro Series ARP2000 main bolt kit for 2008 and later Mitsubishi 2.0L (4B11) Turbo and Non Turbo applications. Part No. 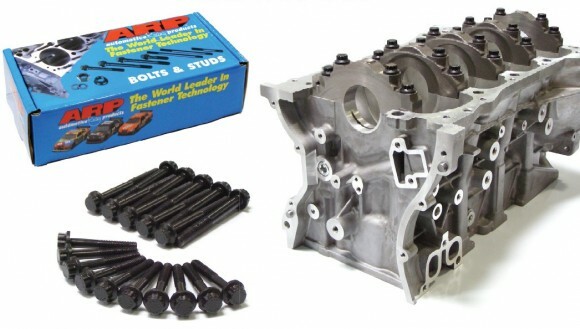 207-5201 – includes a set of ten, M10 ARP2000 main bolts, a set of ten, M8 ARP2000 main bolts and a 1/2 oz. pack of ARP Ultra-Torque fastener assembly lubricant. All Pro Series ARP2000 bolts are cold forged to ensure molecular integrity, heat treated prior to thread rolling and machining, and are nominally rated at 220,000 psi. These fasteners deliver a 50% increase in tensile strength over the OEM main bolts.